Apple is reportedly working on a pair of own-branded high-end headphones that could be released before the end of 2018. According to Bloomberg and people familiar with the matter, these new headphones should bring features like noise cancellation and wireless connectivity, being Apple’s first own-branded over the ear headphones (but not the first Apple-branded wireless earphones, since we already have the in-ear AirPods, launched in late 2016). 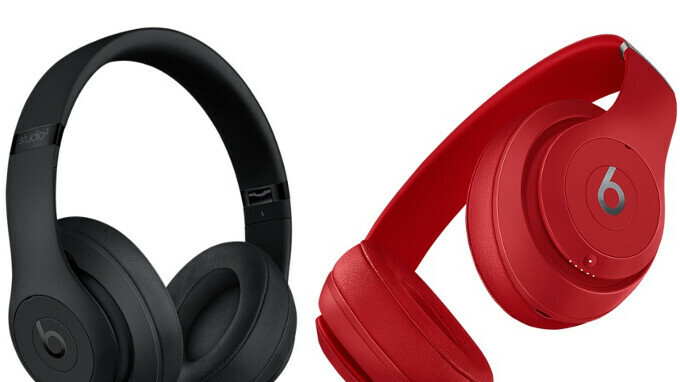 For now, it’s unclear how Apple intends to differentiate these new headphones from the wireless models that the company is already selling under the Beats brand - including the Beats Studio3 (pictured above, currently costing $349), or the Beats Solo3 ($299). In any case, Bloomberg’s report is echoing a previous note from reputable analyst Ming-Chi Kuo, who also mentioned that new Apple-branded headphones could arrive this year. Bloomberg has it that Apple may have not decided on the headphones’ final design yet. Furthermore, it’s said that the company might encounter unspecified development issues that would force it to delay the headphones to 2019, or even to cancel their launch altogether. Later in 2018, Apple is also expected to release second-generation AirPods (with a splash-resistant design and enhanced Siri integration). We’re certainly looking forward to seeing what new music-oriented products the company has been working on lately. They will be better because these new Apple branded headphones will be exclusive. So they will only support Apple products, and only Apple products. That makes them revolutionary, because people who buy and use them will have the headphones for the extra money. Even if they are not the best. People will feel like they have to praise them to justify the extra money, and being further locked into Apples clutches. The sheeple will love them. Why should they even be compatible with other products? Apple's smartphone share is huge, so there's a lot of people who are gonna buy them. Then they will be great for you and some others, especially to help Apple lock more people into their ecosystem. Hey if that's what you want, then go for it. But there is no reason, especially if the price will be the same or higher than other headphones. Which btw those other headphones support noise cancellation, multiple platforms, wireless, and wired, and more features. Can you not see that if you buy these products from Apple, then you are only helping them lock you and others in further? I dont feel locked at all, I enjoy all my products working and connecting between each other seamlessly, which can't be said for other manufacturers. So crappy Beats headphones with Apple logo on it? Don't forget the jacked up price to justify that shiny new Apple sticker. People will notice the sound quality after seeing the new logo. Might be beats by Dre, but tuned by Apple same as Samsung Super Amoled on iPhone X that calibrate by Apple and I think you know the result. By the way Samsung AKG headphones cost 190$ if you don’t know. AKG is a company that has been around for more than half a century and they are actually experts in audio reproduction, unlike beats. You guys just heat Apple for every thing they did for no reason if beats that bad Apple shouldn’t bought it and should've bought AKG aka mark levinson instated of Samsung. I don't hate Apple, I just don't like it. Apple wants something with a show off factor...and what other brand than Beats has that? Or it might as well be skullcandy (but I don't think they would've purchased it). They're like synonyms of each other. Apple branded 500-600$ headphones ... My sony is much better for price. Way to go.... Apple all the way.... Best upcoming headphones in the market! Let us all hope for the first decent Apple headphones. + after Homepods Let us all hope for features that work when they release the product on a market. No beta or "not yet available" features! Like mono headphones, wait year later for stereo, you know the drill. I'm curious to see how they differentiate it from the Beats Studio headphones, since they also have the W1 chip. Maybe a more realistic sound signature? Wouldnt change my Beyerdynamic for 10 pairs of anything headphone branded Apple or Beats. Apple Airbeats coming to a store near you.